It is not often that you would associate a pharmacy with animals, let alone a pharmacy that makes up medicine. But the team at NCC (National Custom Compounding) are often given unique medication requests from Vet’s to help small and large animals. The requests are often for medicines that are not commercially available or medicines that are not available in the right strength for a Pet. The compounded product is interesting for a couple of reasons. The first is that the Methimazole is purchased as a powder and needs to be turned into a paste by the Lab technician through a series of procedures. 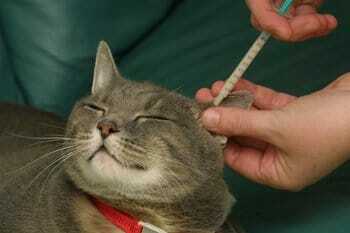 The second is that once the compounded product is completed, the Cat owner then administers the paste (generally 0.1ml worth) onto the tissue inside the Cat’s ear. This type of application allows the medicine to absorb easily into the Cat’s blood stream and is easier for the owner to apply when compared to giving the Cat a tablet or capsule. This type of compounded medicine is an example of how a Compounding Pharmacy has the versatility to treat a wide range of patients using a wide range of medicines.